In order for there to be a butterfly, there has to be a caterpillar. True, most of us aren’t all that fond of caterpillars and if nothing else, try to avoid them. However, there is no beautiful butterfly without a caterpillar; it’s as simple as that. When looked at that way, it takes away the need to see the way things are as ‘wrong’ before and ‘right’ now. It’s just a different time, things need to change, but one was needed in order get to now. If a caterpillar continues to just eat without eventually spinning its cocoon and going through the metamorphosis, it will die. It will never reproduce, never be more than a fat worm-like creature. If we keep doing things the same way we’ve always done it, we’ll have the same results. Not progress, not beauty, just the same old, same old. 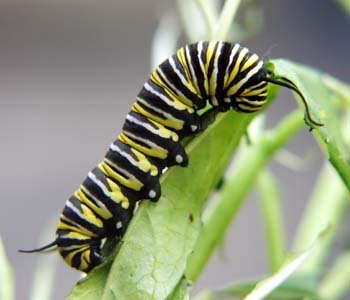 A caterpillar might be able to climb pretty high; it might get a good view of the world, move around a bit and be content with where his present state can take him. However, it’s not until it has gotten wings that it will really soar, see the world like never before, add beauty to the planet, and go places he could have never dreamed existed in his caterpillar state. In order for the change to happen, it takes time. I remember trying to ‘raise’ butterflies as a child. I would find any number of caterpillars, put them in a glass box and wait for the change. Once they spun the cocoon, though, it would take a long time for the change to happen, at least to my childish mind it took a long time. Weeks go by before it is ready to come out, which seems like a lot for something so small; however, if I got impatient to look inside, the animal would die and never become anything at all. The final result requires some struggle. 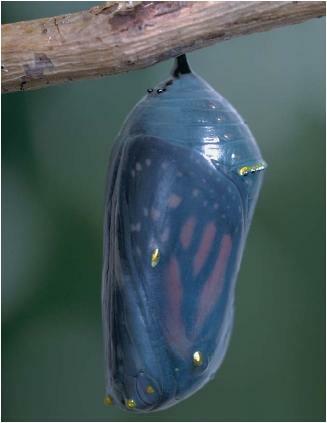 We all know what happens if the cocoon is snipped, the wings never harden and the poor butterfly will never fly. Change isn’t easy, but the struggle is what gives us the strength to be all we can be. There are no shortcuts to the end result, there will be difficulties, there might even be pain, but with the goal to look forward to, it will be worth it in the end. A butterfly is meant to soar, to fly, to fulfill its destiny. We don’t keep butterflies in glass cages, butterflies seldom stay in one place for very long, and they fly away in search of food, a mate, life. Just as a glass cage would defeat the purpose of it having wings, of being able to fly, we can’t hold others back based on what we think is best for them or even for us. 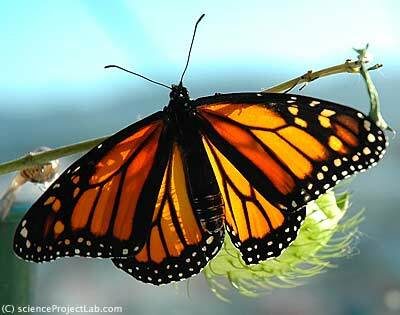 While we might enjoy seeing the butterfly in a glass box, we know its purpose isn’t fulfilled until we let it go. The same goes for people, we have to let them go at some point, in order for them to fulfill their purpose and fly! With it being Father’s Day today, I got to thinking why we have special days to ‘remember’ our mothers and fathers. Shouldn’t we be thinking of them all year around, respecting them, showing them we love them? I came to the conclusion that yes, we should be doing those things (and more) all year around, but now that I’m also a parent I can see the reason behind the ‘special day’. In our daily lives we can often get busy with the day-to-day, the routine, and of course, the little ’emergencies’ that turn up. This gives me a good chance to once again let him know how much I love and appreciate him. In my life, I have had role models, teachers, guidance counselors, friends and others who help us on my path of life. I’ve had my own sets of experiences, good and bad which taught me plenty and helped to grow me up. However, in all of this, I feel that my dad is still the one who shaped who I am (together with my mom, of course) and started me off on the right course. Our paths are far apart these days in the sense that we live far apart, but despite that, I aim to continue on the path he started me on, hoping also to make him proud in the end. Regardless of distance between us, I still depend on him as we chat together from time to time or he emails me, to ground me, to keep me focused, to give me strength to go on, and not least of all, remind me that I’m also loved by my father and how very much I love him as well. Jordan learned how to whistle, oh, woe is me! CC lost her first molar, the toothfairy missed it last night, but here’s to hoping she’ll come around tonight. At the same time, Cherise is cutting in her back molars, it’s annoying her somewhat, but nothing too painful, thank God. I have managed to raise 3 bookworms and it’s something I’m actually very happy about. Now that Jordan is reading on his own, it gives him things to do in his free time or when I need him to be quiet for a few minutes. CC just finished reading Pride and Prejudice on her own and is working through the “Alice” series now. Cherise is into reading encyclopedia type books, although she’ll read whatever she can get her hands on. Plan ahead… It wasn’t raining when Noah built the ark. Stay fit. When you’re 600 years old, someone might ask you to do something REALLY big. Don’t listen to critics- do what has to be done. For safety’s sake, travel in pairs. Speed isn’t always an advantage. The cheetahs were on board but… so were the snails. If you can’t fight or flee—float!! Take care of your animals as if they were the last ones on Earth. Don’t forget that we’re all in the same boat. When things get really deep, don’t sit there and complain– shovel!!! Stay below deck during the storm. Remember that the ark was built by amateurs and the Titanic was built by professionals. If you have to start over, have a friend by your side. No matter how bleak it looks, there’s always a rainbow on the horizon. I don’t think I’ve had this many files to read since the Charter first came out 16 years ago. There is a lot to absorb and understand, but I’ll be posting again, including my thoughts and feelings on the reboot. On Monday, we went on an outing with the kids to the water park/amusement park. We haven’t been there in 2 years, so it was great for the kids to explore again and of course, in the water is really the best place to be in the heat 😀 I discovered that Jordan is quite the daredevil, loving the roller-coaster ride (he didn’t go last time because Cherise and he were too short) and enjoying the steep water slides, etc. I’m going to have to keep an eye on that kid. It was one of those good, tiring days that you just look back and smile at. We celebrated 2 birthdays as well that evening, so had more to smile at with delicious mousse, chocolates and other goodies. I’m working on catching up on the school records (especially for CC, still need to finish recording all her work) and will post the grade averages for the last quarter as soon as they’re done.